Ana Campanella (1980) lives and works in Montevideo, Uruguay. A visual artist and architect, she graduated from the University of the Republic in Montevideo and studied visual arts with Fernando López Lage. 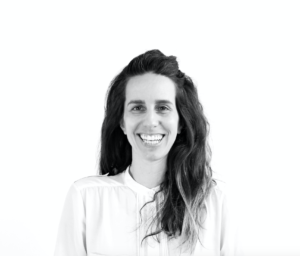 She teaches architecture representation in the FADU, Faculty of Architecture, Design and Urbanism and has been a part of the educational team at the Vilamajó House Museum since 2018. She has participated in various artistic projects and exhibitions since 2002.